If you haven’t tried avocado toast or it isn’t already part of your weekly breakfast routine, we’re here to convince you otherwise. Not only are avocados high in healthy fats (which keep you feeling fuller longer), they are incredibly nutritious, too. Avocados contain 20 different vitamins and minerals, have more potassium than bananas, are loaded with fiber and powerful antioxidants, and can help lower cholesterol and triglyceride levels. 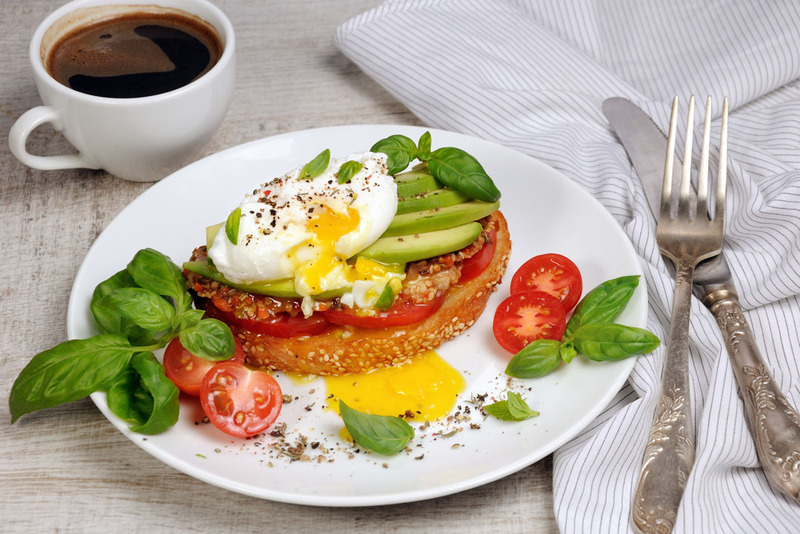 Some studies even show that avocados can help you better absorb nutrients from other plant foods – making it a breakfast superfood you’ve gotta eat! Heat non-stick skillet on medium heat. Spray with non-cook spray and crack eggs into skillet. Cook until whites are completely set, but yolk is soft to touch. Spread 2-3 tbsp on avocado onto toast. Top with egg and cherry tomatoes. (add bacon if desired).